#267 – Create a Bat Signal for users to use whenever they need support. #421 – Hold a “dramatic reading” in the office of a company memo or quarterly earnings report. Ready to find even more ways to use humor? 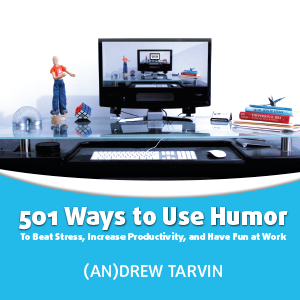 Order 501 Ways to Use Humor today!